a non smoking active couple who are very passionate about all animals . Jim is retired and Ive had my own business running a Hair Salon in cheltenham with my twin sister for the last 13 yrs. We have 3 children all grown up and four gorgeous granddaughters who we adore . Before Jim retired he ran his own successful business called Backpackers retailing walking, skiing,mountainering clothing and equipment which he ran for 25 yrs in Cheltenham, It gave us the opportunity to test out the equipment in the French Alps, Scotland (which is Jim’s homeland ) and The Lake District. We lost our two handsome Black Labradors in Oct 2016 who sadly passed away at the grand old age of 13. They were great companions who we loved dearly and miss them terribly , we will have pets again but are putting it on hold at the moment . We own an old farmhouse in a village location and love long walks in the countryside and are very lucky to have it all on our doorstep. We’re keen gardeners which is a good job as our own garden definitely needs someone who's green fingered . We are a honest , reliable , responsible coulple, your home and your loving pets will be very safe in our hands. They will be treated as if they were our own and we would be very respectful of your home . 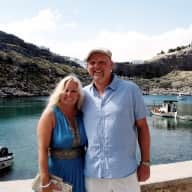 We now find ourselves in a position to spend more time together and travel is something we both enjoy .Jim retired some time ago and I continued working and felt very time poor , we decided we wanted to spend much more time together, so Last year We decided to Hand over the reigns to my sister , rent our house out and travel round Europe. THS seemed a great option for us as we no longer have our own pets and would love nothing better then to enjoy yours , walking the dogs is an activity we really miss . We are particularly interested in France or Spain ...we may in the future want to live there so spending time there will really give us an opportunity to experience the culture as a local .We would also like to explore the rest of Europe & the U.K. we’ve spent wonderful holidays with our dogs in Cornwall. We have both grown up with animals our whole lives and as adults we have had three rescue cats from the local animal shelter a King Charles Cavalier and our two Labradors. This will be the first time without animals which is one of the reasons we would love to look after yours ....it is definitely something we are missing in our lives right now . We are used to large and small dogs and exercising them is always a pleasure. We’re home owners of a grade II listed farmhouse and take great pride in looking after our home and the garden which we spend many an hour pottering around in , our garden takes a lot of work , and thankfully it’s something we both enjoy . 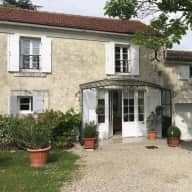 Our journey as Housesitters has started in france where we have been since September on a long term sit , we then have a number of housesits lined up taking care of dogs, cats , and a couple of donkeys which will be a first for us . So to sum us up, I would say that we are a genuine warm couple , light hearted and friendly and take our responsibilities seriously , we have strong values , reliable , and family oriented . As far as your home and animals are concerned we will go above & beyond to make sure they are happy and cared for , we have a great love for all animals whether there our own or other people's . We often have my sisters Bichon Frise stay and she loves it . You will find your home as you left it. If there is some gardening to do we would be happy to do it and if your pets love a good walk well they are in good company , we are both keen cooks especially Jim and it would be our pleasure to leave you something nice in the fridge or prepare you a meal on your return journey .Your instructions will be followed to the letter and we are happy to keep in touch as much as you require. I hope this gives you confidence in your decision to select us. Jeanette and Jim have recently completed their first house sit for us and they were wonderful. 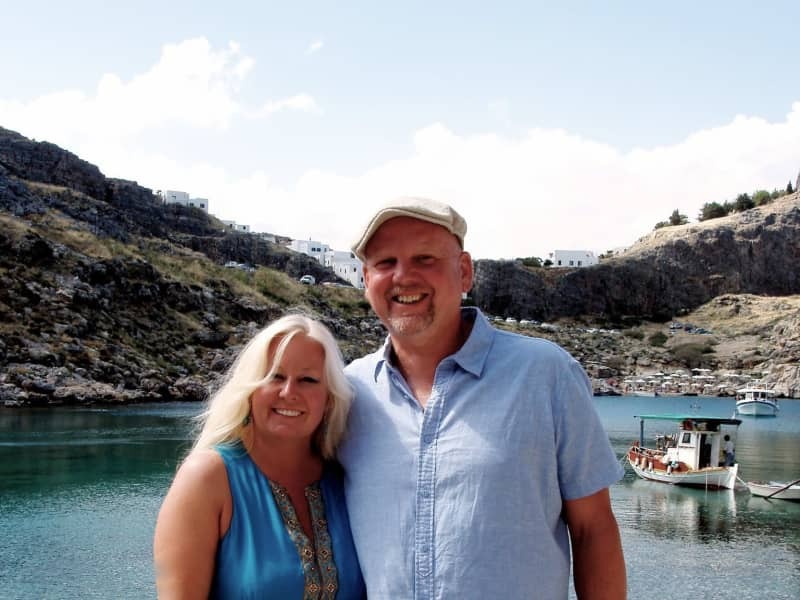 A lovely, warm, reliable couple who we are so pleased to have met and are delighted to now call friends. They both hit it off with our menagerie of animals immediately and we had absolutely no worries about going away and leaving them all in Jeanette and Jim’s very capable hands. We arrived home to very happy, contented dogs and cats, sheep, chickens and Horace the duck! The house was beautifully tidy and clean and the ‘cherry on the cake’was a delicious meal cooked and ready for our return. Jeanette and Jim are a lovely couple we were so impressed that we have already booked them to come back later in the year. We would highly recommend them. 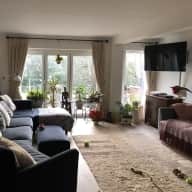 Jeanette and Jim are wonderful housesitters, they kept our house super clean and tidy, they followed our instructions carefully, and most importantly took great care of our pets. We especially appreciated their care and love of Byron our dog, who hasn’t been very well and needed close attention while we were away. They’re a warm, happy and friendly couple who we’d definitely book again! 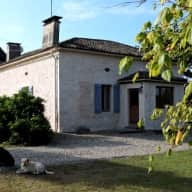 We can highly recommend Jeanette and Jim to take excellent care of your property and animals. They sat for us for 2 weeks and i can honestly say that Jessie (our German Shepherd) and Geoff (our Hamster) were in great hands and were loved for just as much as we do. We arrived home to a clean property, happy animals and a lovely home cooked meal. These are 2 of the nicest people you will ever meet and will definately be asking them to sit for us again. 5 STARS!! I have known Jeanette as a client and friend for over 18 years. Jeanette co-owns a successful and busy hair dressing salon in Cheltenham with her twin sister. She is a bubbly, friendly person with a passion for travelling, cooking and her beloved dogs. 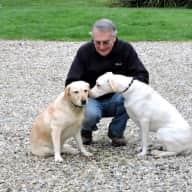 Sadly her two labrador's lives came to an end a couple of years ago, after a long lifetime of love and devotion. 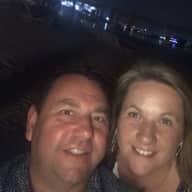 I highly recommend Jeanette and her husband Jim as reliable and trustworthy house sitters." I had the pleasure of meeting Jeanette about 16 years when she first cut my hair. I would highly recommend Jeanette as she is a very genuine, caring and trustworthy person who is greatly respected by all those who know her. I would be honoured if Jeanette was to house and pet sit for me as I know she would care for my beloved dog and my home extremely well which would enable me to enjoy my time away in the knowledge that my prized possessions were safe and in good hands.